The brutal murder of journalist Jamal Khashoggi — which happened six months ago today — triggered a wave of condemnations and soured relations between Saudi Arabia and European countries. Then, in the weeks after the killing, MEPs called for the imposing of an EU-wide arms embargo on the kingdom. Now, half a year on from the Khashoggi's slaying, we take a look at how much of Europe's words were put into concrete action. In the run-up to Christmas, the German government announced that it had suspended the supplying of arms to Saudi Arabia. Angela Merkel said while the Khashoggi case had not been solved "there will be no arms exports" to the Middle East country. Germany said last week it was extending its initial six-month arms embargo by a further six months, to September 30, 2019. Official figures released in January showed German firms sent €160 million worth of arms to Saudi Arabia between January and October 2018, a €50 million increase on the previous year. Human rights group have welcomed Germany's decision but it was criticised by France and the UK as well as German weapons maker Rheinmetall which has threatened to sue the government, according to Spiegel Online. In contrast, Spain chose not to suspend or ban arms sales to the Middle Eastern Kingdom. It demanded instead "that the circumstances of this crime be clarified". The country's social government said it was dismayed over Khashoggi's death but it joined forces with the opposition to defeat a parliamentary motion that called on Madrid to stop selling arms to Saudi Arabia. According to data from the Spanish secretary of state for trade, only 3% of Saudi imports originated from Spain in 2017 with the Saudi market accounted for 6% of Spanish sales that same year. Amnesty International estimates that Spain exported €932 million-worth of arms to Saudi Arabia between 2015 and 2017 and authorised licences worth €1.2 billion. Like Spain, France did not stop exports to Saudi Arabia. Despite French authorities denouncing Khashoggi's assassination, there was never a suggestions exports would be suspended or halted. In the last nine years, Riyadh has bought more than €11 billion of arms, making it France's second biggest customer. "France does not communicate on this type of information in general and the entire export decision process is completely opaque," Aymeric Elluin from Amnesty International France, told Euronews. "But to our knowledge, it has not stopped given that deliveries of armoured vehicles to Saudi Arabia are currently taking place," he added. The country is the third biggest exporter of weapons to Saudi Arabia, according to the Stockholm International Peace Research Institute. Amnesty International estimates it delivered more than €3 billion worth of weapons between 2015 and 2017. It has also harshly criticised Germany for its decision to impose an embargo as the two countries have joint military projects leading to some French exports being blocked because some parts are manufactured in its eastern neighbour. The French ambassador to Berlin, Anne-Marie Descotes, wrote last week that the embargo "has serious consequences for our bilateral cooperation in the field of defence, and for the strengthening of European sovereignty" in an essay published in German military's Federal Academy for Security Policy. Britain, which was Saudi Arabia's second biggest supplier of weapons between 2014 and 2018 delivering 16% of all arms imports, also did not freeze sales. Yet, a February report by Parliament's international relations select committee said the country was "narrowly on the wrong side of international humanitarian law" for selling weapons to Saudi Arabia. According to the report, the UK has licenced £4.7 billion (€5.5 billion) of arms exports to Saudi Arabia since the Yemeni civil war erupted four years. The UK Foreign Office defended its policy in an emailed statement to Euronews on Monday, saying: "The Government takes its export control responsibilities very seriously and will not grant a licence if to do so would be inconsistent with the UK's obligations under the Arms Trade Treaty." "All export licence applications for Saudi Arabia area assessed rigorously on a case-by-case basis taking into account all available information from a wide range of sources, it added." Italy's government has also continued to grant licences to RWM Italia, a company based in Sardinia and which is 100% owned by Germany's Rheinmetall. This despite the Five Star Movement — which rules the country in a coalition with the League party — coming out against it and Italian law prohibiting the sale of weapons to a country engaged in an armed conflict, as is the case of Saudi Arabia. The company has also been able to circumvent the German arms embargo because it is registered in Italy which has no such embargo. After the Khashoggi case, Austria advocated an EU-wide arms embargo against Saudi Arabia. Since 2015, however, no new licenses for the supply of war materials to Saudi Arabia have been approved, government spokesman Andreas Steindl said, according to the Wiener Zeitung. Denmark announced it would suspend future approvals of weapons and military equipment exports to Saudi Arabia as a result of Khashoggi's killing. 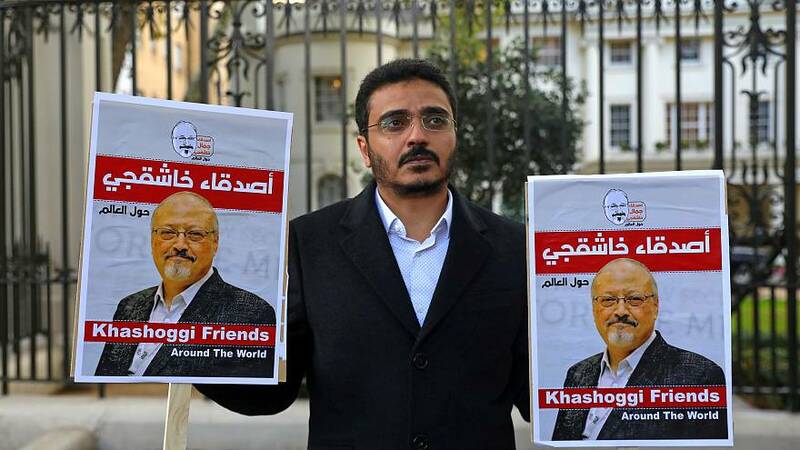 “With the continued deterioration of the already terrible situation in Yemen and the killing of Saudi journalist Jamal Khashoggi, we are now in a new situation,” Foreign minister Anders Samuelsen said in November last year. Finland announced similar measures on the same day. The Netherlands House of Representatives passed a law in November last year to ban arms exports to Saudi Arabia. It mentions backing a ceasefire in Yemen and an arms embargo rather than specifically referring to the Khashoggi case. Several European states stopped exporting weapons to Saudi Arabia before Khashoggi's October 2018 murder. These include Norway, Sweden, Austria and Greece. The latter never issued a public statement on the issue but scrapped the sale of some 300,000 artillery shells about a year and a half ago, Amnesty International told Euronews. Furthermore, the Belgian region of Wallonia suspended its 2017 licences to export weapons to Saudi Arabia in June 2018.